Inspired by Sundance and the black film explosion of the 1990s, Jeff Friday set out to create a festival where both black filmmakers and film lovers could feel at home. 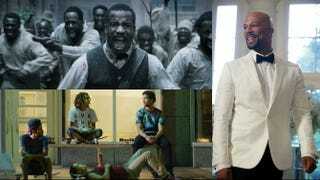 The result is the American Black Film Festival. Known initially as the Acapulco Black Film Festival when it was first held in Mexico in 1997, it got a name change in 2002 when it relocated to the United States, Miami’s famed South Beach specifically. This year’s ABFF, which runs Wednesday through Sunday, is back in South Beach after a brief return to New York City last year and will mark the maverick festival’s 20th anniversary. While parties are a given, so are the black-Hollywood close-ups. Below are a few highlights of this year’s festival. Celebrity sightings are an ABFF highlight. Rapper Common will serve as ABFF’s official celebrity ambassador, and he and Roland Martin will yap it up Thursday. Kevin Hart is always one to attract attention, and his latest film, Central Intelligence, should do just that as ABFF’s opening night film Wednesday. It is Miami, so you never know what megastars will drop in. Starz stars Tichina Arnold of Survivor’s Remorse and Power’s Omari Hardwick are scheduled to visit the Power Lounge at various points of the festival. Past ABFF participant-supporter Nate Parker returns to the 20th-anniversary party as a buzzing first-time director to discuss his highly anticipated fall film, The Birth of a Nation, with co-stars Aja Naomi King and Gabrielle Union on Friday. Union takes the stage again that day to talk about starring and executive-producing Almost Christmas, slated for a November release, with her co-collaborators, writer-director David E. Talbert and superproducer Will Packer. Two-time Oscar nominee Ruth E. Carter sheds insight on the magic of wardrobe for film, sharing her incredible journey on such cinema classics as Malcolm X, School Daze and, more recently, Selma and Lee Daniels’ The Butler. And while most know T.D. Jakes as one of the nation’s most prominent religious leaders, too many forget that he has been a very successful film producer. This year he played a pivotal role in the mainstream “faith-friendly” film Miracles From Heaven, starring Jennifer Garner and Queen Latifah, but has been a secret ingredient in the films Not Easily Broken and, of course, Woman Thou Art Loosed. Both conversations take place Saturday. The black Olympians who performed in the Berlin Games are the subject of a new documentary, Olympic Pride, American Prejudice. Films are the reason for the season, and this year there are several noteworthy ones. One is the documentary Olympic Pride, American Prejudice, from Versailles ’73 director-producer-writer Deborah Riley Draper, about the black Olympians who participated in the 1936 Olympics in Berlin in what are known as Jesse Owens’ Olympics; Blair Underwood narrates and produces. Another is the world premiere of Service to Man, set in the 1960s at Meharry Medical College in Nashville, Tenn., and starring Lamman Rucker and Keith David. The HBO Short Film Competition is always a must-see; one past winner is Ryan Coogler, before Fruitvale Station, Creed and Black Panther. Television aficionados will appreciate sneak peaks at the upcoming season of HBO’s Ballers, complete with a cast discussion that includes John David Washington, and of Angie Tribeca from TBS, featuring Deon Cole. ABFF prides itself on supporting its own, and this year it presents special screenings of ABFF alums, which include writer-director Steve Caple’s skateboard film The Land (Friday), director Randy Wilkin’s boxer Roy Jones Jr.’s Olympic film, 86-32 (Friday), and Ringside, the TV One boxing film from radio personality and director Russ Parr (Saturday). For more info, visit ABFF’s website.